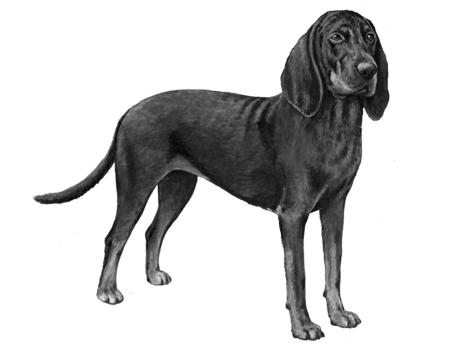 Originally bred from the Virginia Foxhound. 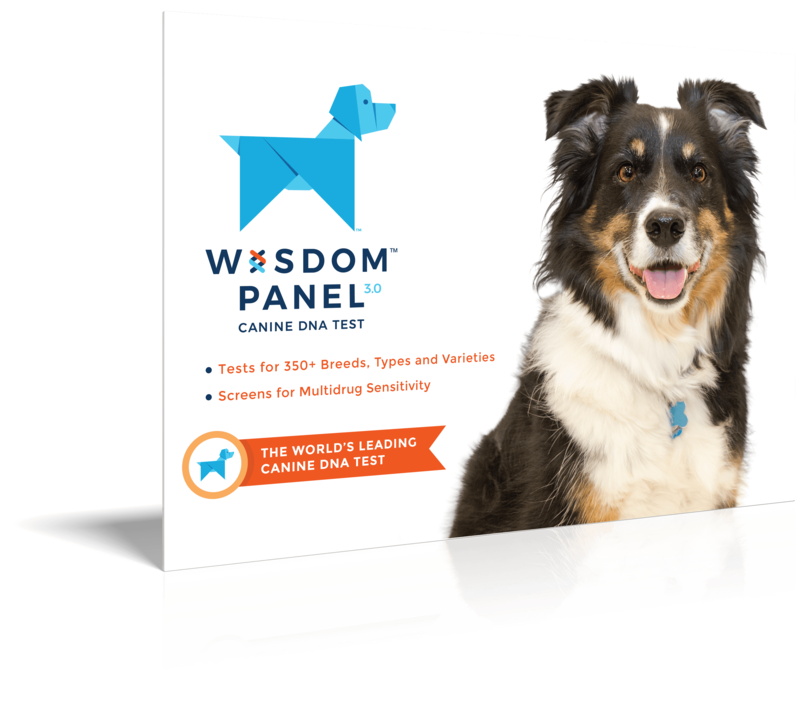 Calm, mellow and highly intelligent dogs. 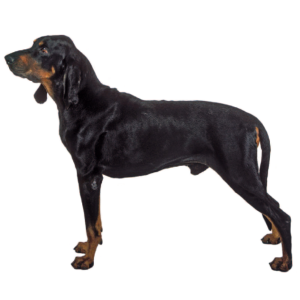 Enjoys dog sports particularly tracking, trailing and hunting. Requires plenty of exercise. Can be tenacious and difficult to disengage from an activity. 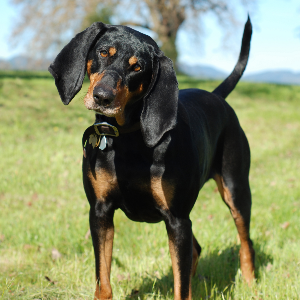 Trusting and gentle, the Black and Tan Coonhound was bred from the Virginia Foxhound for two reasons. The first was a keen sense of smell, while the second was their distinct coat, from which they get their name. 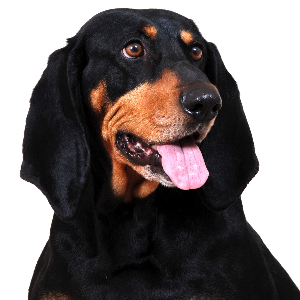 Although these dogs are all black-and-tan, the tan can range from buff to a rich chestnut. In some case, you may also see a chest blaze of white. Their original stomping ground is the south-eastern area of the United States, in the Ozark, Blue Ridge, Appalachian and Smokey Mountains. Here, they once tracked game like raccoons, bears and mountain lions. Today, they make good family pets too and are just as keen on a game of ‘fetch’.